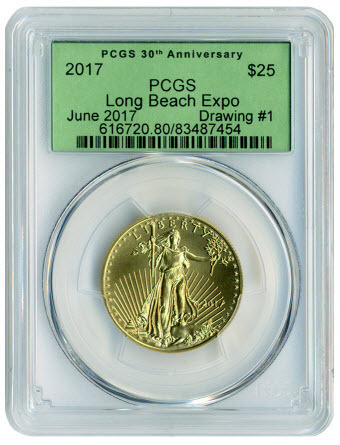 (Long Beach, California) – The second Long Beach Coin, Currency, Stamp and Sports Collectible Expo (www.LongBeachExpo.com) of the year, June 8-10, 2017, will feature on-site grading from Professional Coin Grading Service (www.PCGS.com), a brand-new app showcased by the coin grading company, impressive collections on display, and more. "There are a lot of exciting things in store for our summer trade show. We have our coin giveaway, where a lucky attendee will be selected each day to win a 2017 American Eagle one-half ounce gold coin, PCGS will be showcasing their PCGS Set Registry app and hosting a giveaway around that, and as always, there are fun exhibits and the Treasure Hunt for kids," said Long Beach Expo President Cassi East. Long Beach Expo visitors have three chances to win a 2017 American Eagle one-half ounce gold coin. Any attendee can win a 2017 American Eagle one-half ounce gold coin simply by registering online. Winners will be announced each day of the show at 1 p.m. Visitors to the PCGS booth (#807) can take advantage of on-site grading. The company is also displaying their brand-new PCGS Set Registry app (Booth #404), and inviting visitors to download and test the app for a chance to win a PCGS-graded coin. 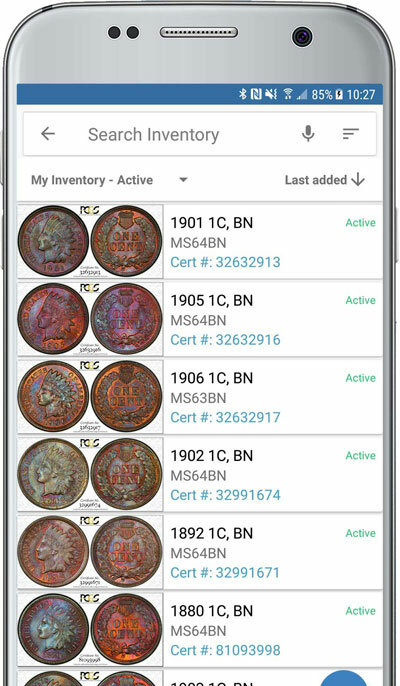 "We are thrilled about the new PCGS Set Registry app, an app that we think will change the way people collect coins. Come by the Long Beach Expo, download the app and scan a coin, or even bring your own coins for on-site grading. This show brings so much to the table, and we love providing the public with exciting giveaways at events like this," said PCGS President Don Willis. Those visiting the PCGS booth are invited to download and test out the new Set Registry app for a chance to win a coin. Additionally, visitors will have the opportunity to get their coins examined by renowned numismatist David Hall during "Meet the Expert" sessions. Sessions will be conducted from 1 p.m. to 2 p.m. on Thursday, June 8 and Friday, June 9, and from 12 p.m. to 1 p.m. on Saturday, June 10. Aside from sharing his numismatic expertise, Hall will display key examples from his eclectic collection, spanning hobbies like numismatics, fine art and card collecting. Those in attendance can view a piece of his extensive collection at booth #1443. The official auctioneer of the Long Beach Expo, Heritage Auctions (www.HA.com), will conduct their Signature U.S. Coin auction. Children in attendance can earn free coins by participating in the Kids Treasure Hunt, which takes place Saturday, June 10, from 11 a.m. to 2 p.m.
Young collectors can also learn how to create sets in the PCGS Set Registry and the PSA Set Registry at the Young Collectors Set Registry Booth (#1443). Or, they can visit the Long Beach Expo Kid's Zone (Booth #861) for a hands-on coin collecting experience, where budding collectors can partake in trivia, earn free coins, and more. Professional Sports Authenticator (www.PSAcard.com) and PSA/DNA will be in attendance and accepting trading cards and autographs for on-site authentication and grading submissions at booth 1334. The Long Beach Coin, Currency, Stamp and Sports Collectible Expo takes place Thursday, June 8, through Saturday, June 10. Show hours are 10 a.m. to 7 p.m. from Thursday to Friday, and 10 a.m. to 5 p.m. on Saturday. The Long Beach Expo will take place at the Long Beach Convention Center, located at 100 South Pine Ave, Long Beach, CA. Admission is $8 for adults, $4 for seniors and children aged 8 to 16; however, free admission coupons are available in advance online with the proper promotion code. "To get Free tickets, all you have to do is visit www.LongBeachExpo.com, select ‘Get Passes,’ and enter the promo code: EXPOPR,” said East.